September 8, 2017 August 20, 2018 by Wm. B. Eerdmans Publishing Co. The rules of our Five Questions interview series are simple: we send authors a long list of questions. Some are serious, and some are . . . not so serious. They choose their favorites and respond. Our guest today is Joshua Jipp, who is assisstant professor of New Testament at Trinity Evangelical Divinity School. 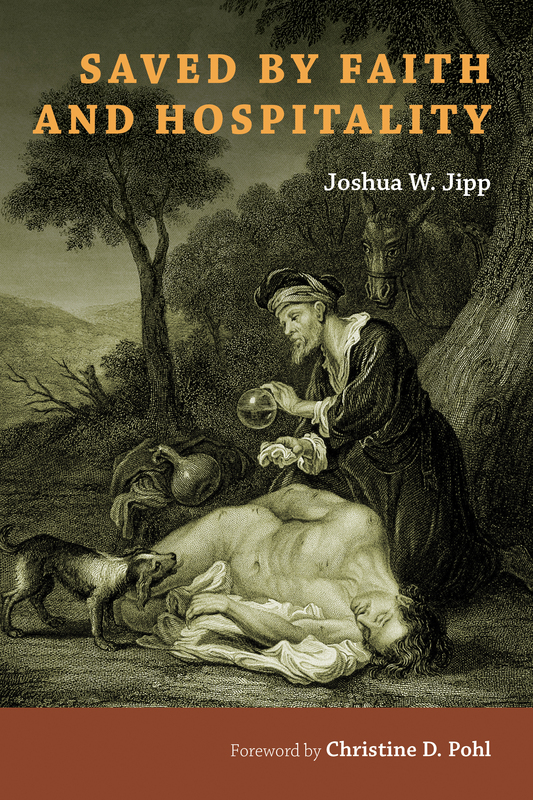 His new book is Saved By Faith and Hospitality. 1. What makes Saved by Faith and Hospitality a unique contribution? For most of us, the word “hospitality” signals something that is domestic, safe, and performed amongst friends, rather than an action and a disposition that is risky and quite radical given that it involves opening oneself up to a stranger. In Saved by Faith and Hospitality, I wanted to show that hospitality permeates the biblical writings and is not an optional practice for the Christian, so much so that the Scriptures often connect hospitality to salvation in surprising ways. For biblical scholars it is often easy to pretend that our exegetical and historical work will get translated so to speak into a contemporary idiom, but I suppose this work is unique in that it simultaneously presents readings of the major biblical texts on hospitality and it seeks to show how these texts call us to a certain way of life today. 2. How did you come to focus on the theme of hospitality in the Bible? 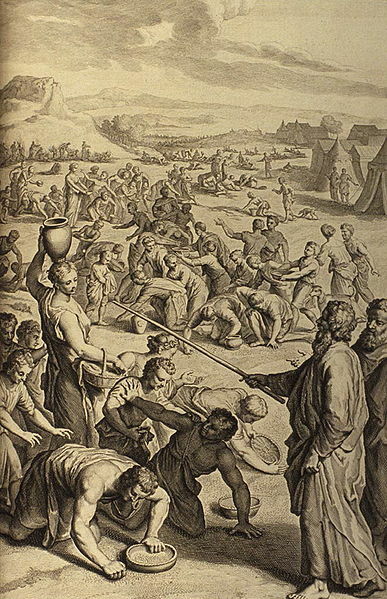 God serves Israel manna in the wilderness (Ex. 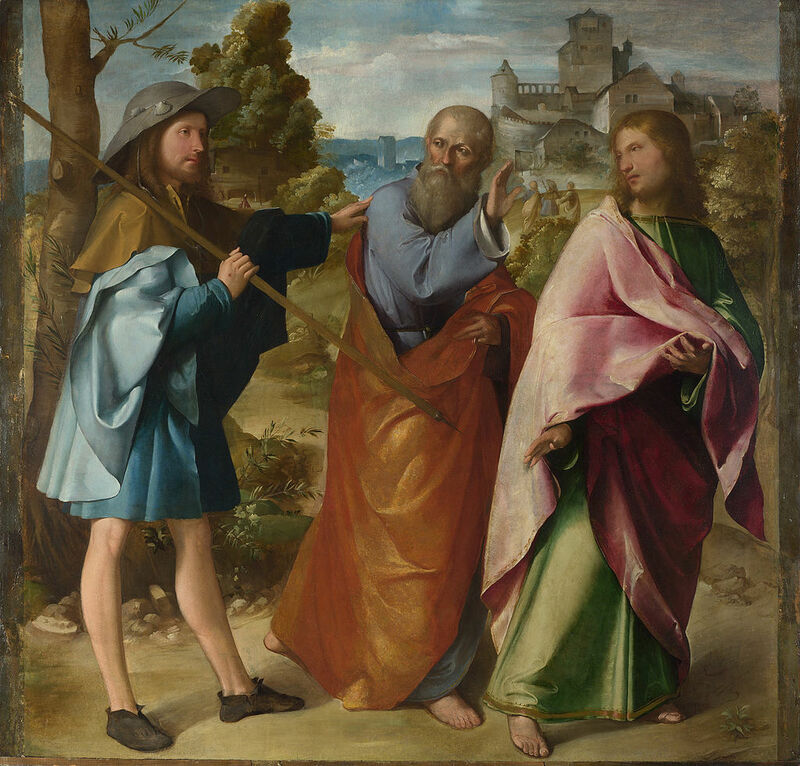 16:14–22). To make a long story short, my focus on hospitality stems from my doctoral studies. I wrote a dissertation on the odd passage at the end of Acts where Paul is shipwrecked on Malta. My investigation of that short text took me into detailed explorations of the meaning of hospitality to strangers in the ancient world and within the Bible. I was surprised at the significant and surprising deployment of hospitality within the Christian Scriptures. And it seemed to me to be a practice that was not well-understood by many contemporary Christians who all too easily tolerate—and even make a virtue out of—xenophobic practices and rhetoric. Hospitality also became a significant lens for how I was viewing some of my current life-situations including eating meals with recently resettled Muslim Iraqi refugees, weekly small group meetings that involved study of Scripture, eating in our apartment, and co-teaching an introductory course on the Bible at a women’s state prison in Atlanta. 3. There’s been a lot of talk about the intimacy of sharing a meal. Based on your thinking, why do you think this component of our social life is so important? I argue in Saved by Faith and Hospitality that the NT writings calls us to recover the practice of sharing meals with one another as a means of celebrating the presence of the risen Jesus in our midst. Jesus used meals as an opportunity to signify something specific about the kingdom of God as his meals were marked by joy, inclusion, restoration, and fellowship with God. Intentional meals within the church can provide opportunities for us to be reminded of our primary identity, namely, that we are recipients of God’s hospitality and thereby are called upon to share this welcome with others. The Wedding at Cana (Jn. 2:1–11). 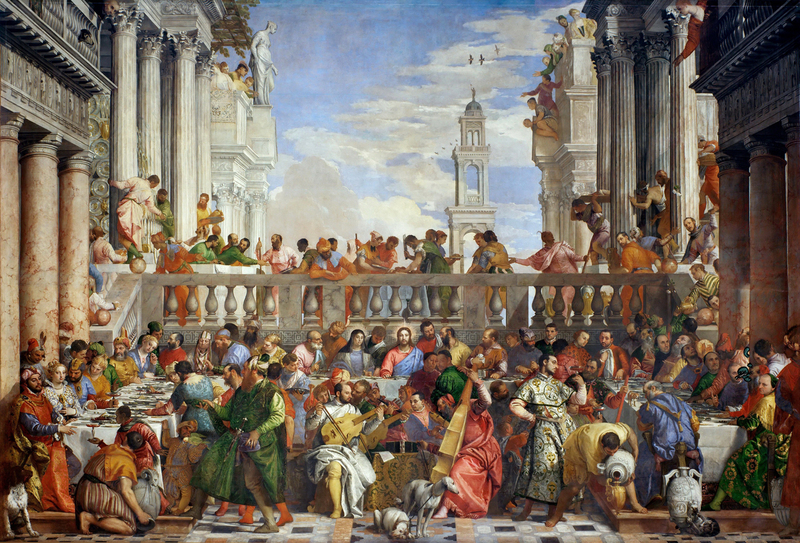 Painting by Paolo Veronese, 1563. 4. What small step can Christians take to make hospitality a larger part of their everyday lives? One of the greatest challenges in practicing hospitality to strangers is engaging in the first step of seeing the stranger. If one reads my book, one will notice that theme of seeing or recognition of the stranger pervades many of the biblical hospitality texts. If one wants to make hospitality part of one’s everyday life, then I would suggest that one pray that God would open one’s eyes to be able to see the strangers in one’s neighborhoods, churches, and communities. If we make this a habitual practice then I expect we will be surprised by the exciting and challenging hospitality encounters we will have with others. 5. What book influenced you the most? That is an incredibly difficult question! If you don’t mind, let me narrow my choices down to books that influenced my writing and thinking about hospitality to strangers. The first book I always recommend to anyone asking about hospitality is Christine Pohl’s Making Room. It is accessible to a variety of audiences, details many of the major biblical texts on hospitality, and offers an incredible amount of wisdom and guidance for the practical implementation of hospitality. I’m surprising myself here that the second book that comes to mind is a commentary, but in my opinion, one of the finest: Joel Green’s NICNT commentary on the Gospel of Luke. He is deeply attuned to both the social and theological practices of hospitality, table-fellowship, and economics. I return to his commentary frequently. 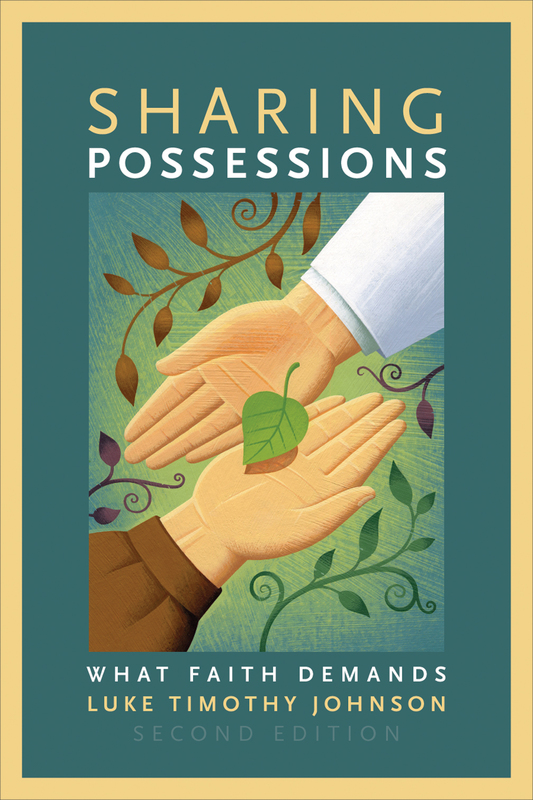 A third book I found helpful and stimulating is Luke Johnson’s Sharing Possessions. In addition to the powerful argument he makes about possessions being an extension of our identity and whether we choose idolatry or faith, it was really his boldness to write books that are simultaneously rich in exegetical detail but also meaningful to contemporary life that challenged me to try to do the same in Saved by Faith and Hospitality. If you could be present at any biblical event, which one would you choose? Why? 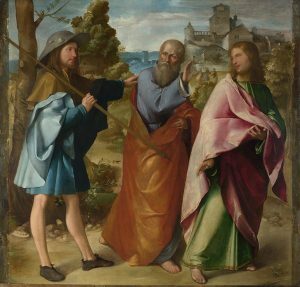 I would love to be with those two unnamed disciples who fail to recognize that they are walking with the risen Jesus on the Emmaus road in Luke 24. It would be fascinating to hear this stranger exposit the meaning of Israel’s Scriptures and to experience that moment when the stranger becomes the host and breaks the bread and their eyes are opened to the presence of the risen Jesus in their midst. Purchase Saved by Faith and Hospitality at Eerdmans.com, Amazon, or Christianbook.com.